Remember that book you checked out last year? You know the one… it had a red cover? You really liked it. 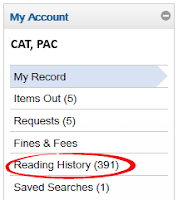 Then you need to start keeping a Reading History, and the (pretty awesome) Catalog is here to help. Log into your library account. 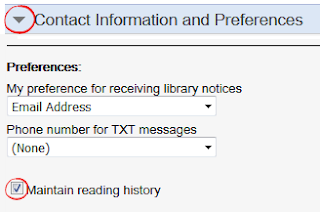 Click Contact Information and Preferences. 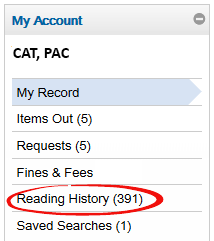 Anything you check out from now on will be recorded in your Reading History. You can delete items and stop recording at any time. Note: This is the fourth of eight weekly tips about our online catalog.